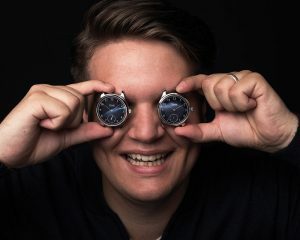 "It was never my dream to start a watch brand"
"Yvo wanted to play the accordion before he was able to pronounce the word"
For the young Dutchman Yvo Staudt, it was never a dream to make his own mechanical timepiece. He wanted to become a great accordion player. All his life was in service of this unusual instrument. During his studies at the conservatory in Italy, he experienced a darker period in his life. His intrinsic motivation to play the accordion went at the expense of just being the best. "I only wanted to be the best. 'Being the best' is always in relation with someone else. While my instrument was always a mirror of myself. It was untenable". 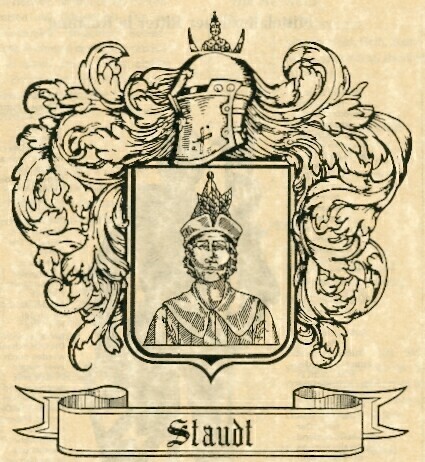 From the very first sketches to the final design of the very first Staudt Praeludium. To change his mind he ended up getting involved with an old crush. He got into the miraculous world of mechanical timepieces. He read about it, started designing, disassembled and reassembled old movements. Step by step he created his own vision about how his perfect watch would look like. It had to meet up to three standards: a blue dial, no lah-di-dah and a sublime quality. When the young musician couldn't find his perfect watch with third parties, he was left with only one option: "I'll do it myself then...". 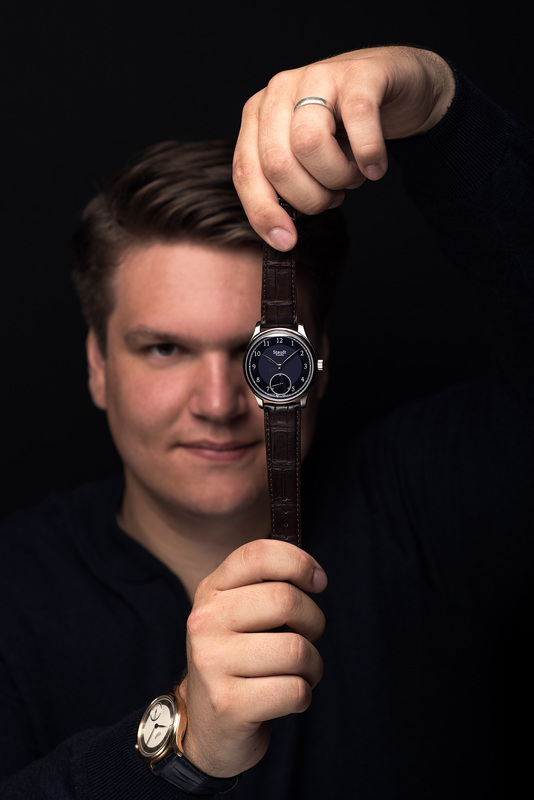 "It's a very big compliment for me that there are so many people around the world wearing a Staudt"
After months of development, the first timepiece was a wrap! Once back in The Netherlands Yvo's creation was noticed during a watch event in Amsterdam. People were very enthusiastic about it and they asked if he could make some more of his horological creation. Flattered by these wonderful questions Yvo started developing his first production model. 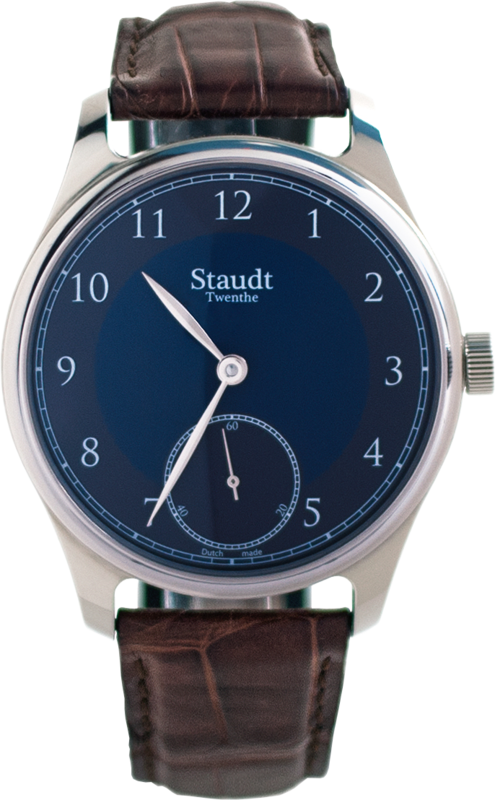 Finally he introduced the first Staudt Praeludium Hand Wound to the world in October 2014. In total Yvo assembled 45 pieces of this model his own atelier. This first timepiece has become the start of an international entrepreneurial adventure, where Yvo is able to combine his two biggest passions. To play the accordion and develop mechanical timepieces. But Yvo, what is it that you actually do? Yvo Staudt is still responsible for all watch designs and the development of the timepieces. He also manages the watchmakers in our atelier. Every watch part he checks thoroughly before it gets his approval to end up in a Staudt timepiece. 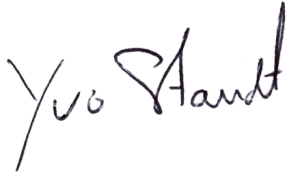 Besides that, the creative process of building an international brand is in Yvo's hands. Together with a passionate team of watchmakers, brand builders and salespeople we work really hard to carry out our sincere love for mechanical watches!